The use of multiple pain and other prescription medications is leading to deadly results for patients. A recent study indicates that there has been a 700% increase in the number of at-home deaths caused by medication overdoses or errors. The age group most affected were baby boomers in their 40s and 50s. The authors of the study attribute the increase to the combination of medical supervision decreasing while the use of prescription painkillers and other powerful medications — many of which used to be available only in the hospital setting– have increased exponentially over the past two decades. Multiple prescription drugs taken at once — like the sleeping pills, painkillers and anxiety drugs that killed “Dark Knight” star Heath Ledger — also play a part. 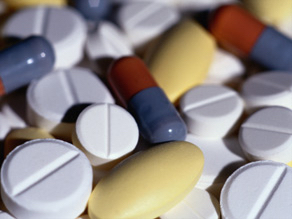 Abuse of prescription drugs plays a role, but the study did not conclude how much. Valid prescriptions taken in error, especially narcotics such as methadone and oxycodone, were reported to account for a growing number of deaths, according to medical experts who reviewed the study. Another interesting finding was the number of people who loan or give their prescription to others — about 25% have done so — according to the research. Some advocate more education about the dangers of combining certain drugs with other medications (for example, with alcohol) while others believe that these numbers bring home the message that as a society we have become “drug happy” with the notion that medicines can fix everything. Pierce & Thornton’s lawyers have represented patients and their family members who have sustained serious injury or death from medication errors. Call one of our lawyers today to discuss your potential case.